Well, thank the gods of rock ‘n’ roll: one of the guys from Slipknot has arrived to set Kanye West straight for calling himself the greatest living rock star on the planet. 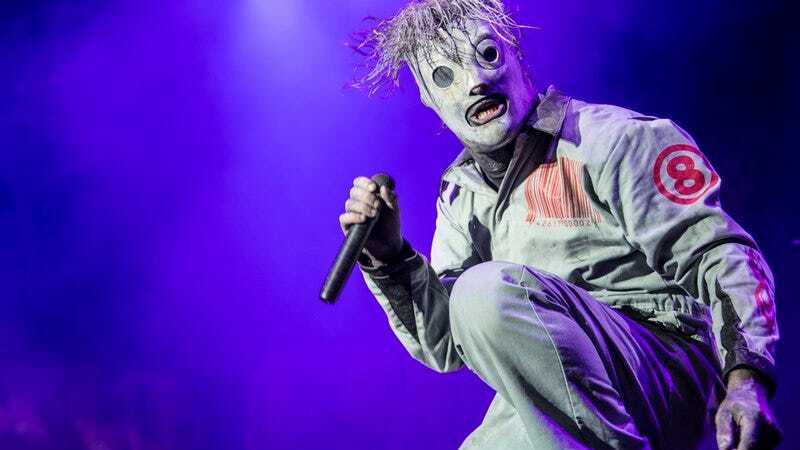 Corey Taylor, lead screamer for heavy-metal act Slipknot, recently took off his mask and posted a video to tell Kanye that he is in fact not the greatest living rock star on the planet, and is in fact more like a teenager bragging about getting laid. Kanye West headlined the Glastonbury music and arts festival on June 27, where he exclaimed to the crowd that “you are watching the greatest living rock star on the planet!” Was it more trolling from a master troll? Delusions of grandeur? Only Kanye knows for sure. Plenty of great rock ‘n’ roll acts have headlined the festival, including Elvis Costello, David Bowie, and REM (inexplicably, so have Arctic Monkeys). So Kanye is certainly in good company, lending credence to his statement; it’s not like he was playing to a half-empty club and splitting the door with the sound guy. One band that has not headlined—or performed at all—at the British rock festival is Slipknot. So why is Taylor so concerned with Kanye West running his mouth? If Kanye is the fool that some music fans think he is, isn’t it better to just ignore him until he goes away? Oh, that’s right, Taylor is currently promoting his new book, You’re Making Me Hate You, and what better way to draw attention to yourself than feuding with one of the biggest celebrities on the planet? Making a video of yourself spouting grand statements in order to cause a ruckus and move units on your book? Sounds like something Kanye would do.